The State of the "Universe": So What Now? WARNING: This entry contains massive spoilers for the most recent episodes of Steven Universe, "Can't Go Back" and "A Single Pale Rose." These also happen to be massive spoilers for the end-game of the show as a whole. So if you don't want to be spoiled, avoid this post by all means. As is going to happen with any show that bobs on and off the air for months at a time, I am generally woefully behind on Steven Universe until I see all my friends reacting with shock and tears on Facebook. That's my signal to go and see what the heck has happened this time. Wow. This is one hell of a Steven-Bombshell. Fan reaction is split across interesting lines. 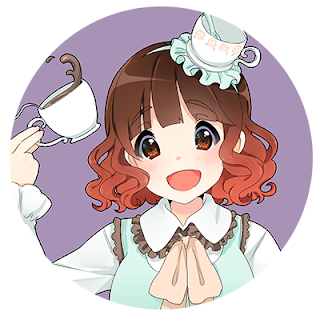 My circles of friends and fans are reacting with general interest and excitement (and tons of emotion), while the YouTube theorist community is... upset. 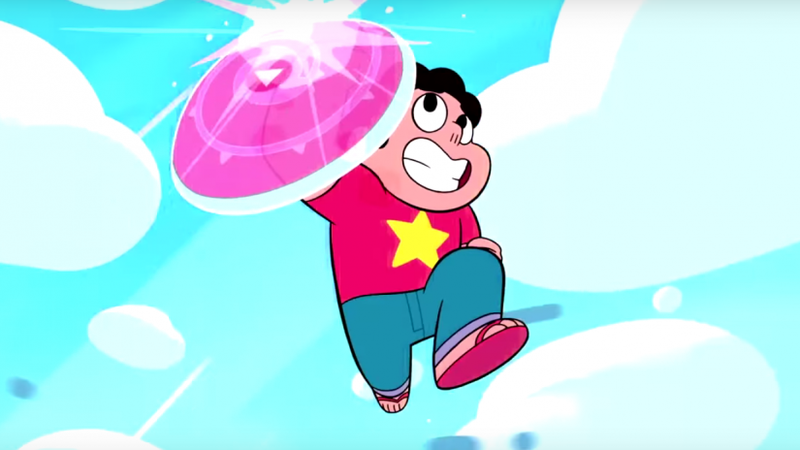 In my search for theories on what this most recent revelation means for the future of Steven Universe, I found primarily angry people: it "can't" be this way because that means that characters have now done Bad Things. Or it "can't" be this way because it's a long-standing fan theory and it's Too Easy. Hokum. It was written and it happened. And of course characters are morally grey. They always have been. That's half the point of the show. Rose Quartz was Pink Diamond. What does that mean for the future of the show? Once we learned that Pearls are little more than servants and decoration, the obvious question came up: who does Our Pearl belong to? Color theory matched her to Pink Diamond, White Diamond, Rose Quartz, and all the Diamonds. But later episodes revealed her as a Pearl that belonged to no one. Her love for Rose, then, was not a love borne of servitude or purpose. 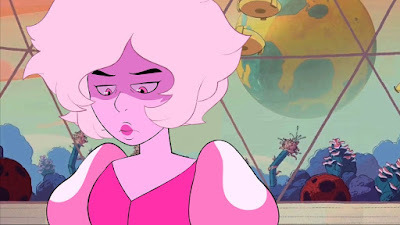 Except... except... now we know that she was Pink Diamond's Pearl, and thus Rose's. And even if Pink Diamond insisted that she was "just Rose" from then on, how seriously is Pearl able to take that? Pink Diamond displayed a preference for Pearl that was beyond master and servant. 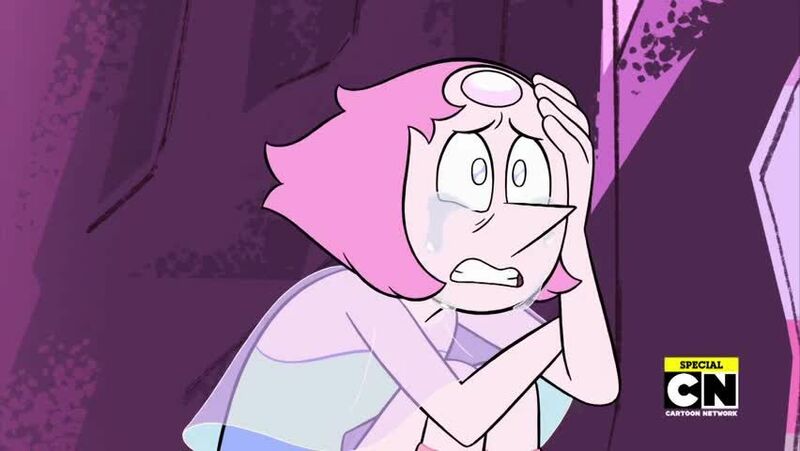 But we also know from Garnet's story and from Pearl's own admission that Rose was never a one-Gem kind of girl. It wasn't until Greg that the concept of staying with one person really seemed to occur to her. So she does seem to love Pearl... but that love seems strangely capricious, like only half a couple knowing that the relationship is open-ended. So where does that leave us? Does Pearl love Rose freely, or does it still carry an underpinning of devotion and subservience that she couldn't "switch off" just because her Diamond looks different? Does Pearl even know which it is? We can only assume that Garnet's version of Rose Quartz's story came from Rose herself, with backup from Pearl. She's just as shocked as anyone to hear the news. And considering she's essentially Rose's main acolyte at this point as the new leader of the Crystal Gems, this is a hard fall for her. But Rose's stories vilify herself -- her old self -- very deeply. This isn't necessarily a plot hole. After all, we know that she was in trouble with Yellow and Blue for being too fond of Earth as it was. And in order for her loss to not be mourned, she had to make sure her old self was remembered as unpleasant and wicked. This could have been a tactical maneuver. But one wonders... was it also personal feeling? Was she so disgusted with her Diamond status, what it meant and what it implied, that she wanted to vilify her old self and bury it as deeply as possible? It's hard to know. Pink Diamond is very childish by nature, and this extreme of emotion seems completely probable. Rose Quartz has always been kind of God Mode: from healing and resurrecting tears to mallet-space to... pretty much every freaking other thing she can do. Knowing she was a Diamond gives us some degree of context for the sheer craziness of her powers... but it also tells us a lot about what Steven may have up his sleeve. Literally everything is different now. Steven isn't just the combination of a Gem and a human -- he is the combination of a Diamond and a human. A ruling-class, "pure" and highly powerful alien being. We don't even know what Diamonds are, where they come from, and what they can do. We still aren't fully aware of their back story. Heck, we still haven't seen one of them save for a hand. But here's the big thing about that: Pink Diamond became Rose Quartz to throw her old life away. Then she became half of Steven. It's almost as though she was whittling her own life away as much as possible, to become as un-Diamond as possible, to become as human as possible. 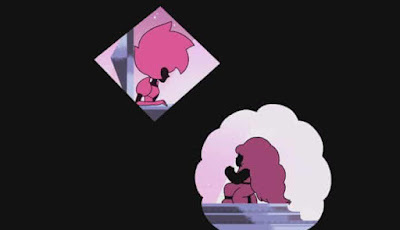 I still believe that she loved Steven as much as she said in "Lion 2: Direct to Video." But Steven now makes the second time she has completely sacrificed her identity. Pink Diamond -- Rose Quartz -- absolutely didn't think things through. 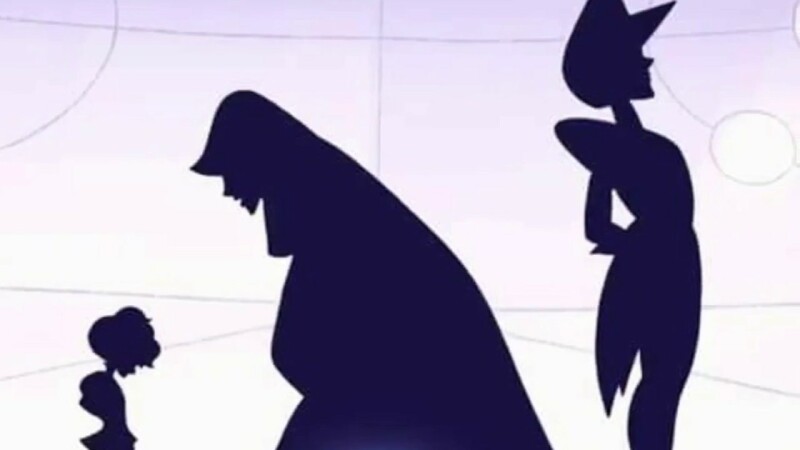 She devastated Blue Diamond, she lied to the people she cared about most, and she's left an enormous mess for Steven to clean up. But now he's not just half-Gem... he's half-Diamond. And I've got literally no idea what that's going to mean for the rest of the show, except that we appear to be approaching endgame really, really fast.